Are you tugging your wraps when you're doing that heel? Tugging seems to be a big part of short rows. Love the Honey's socks! And that scarf. Ooh! I was just going to ask about the pumpkins! Really! I was sitting here, knitting and reading your post and started wondering ... how are Otter's pumpkins doing? So ...??? 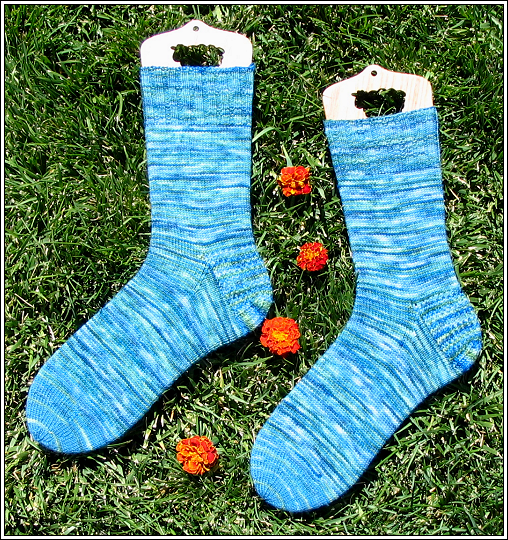 Your Honey socks are terrific! 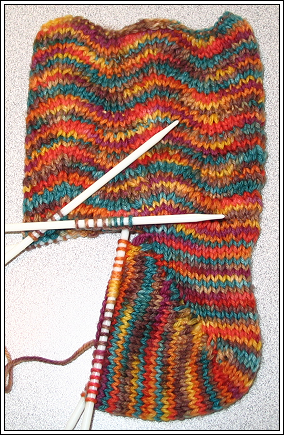 You'll get the heel fixed - I have no hints as it's been several months since I've done short row - Cookie's on the right track though. 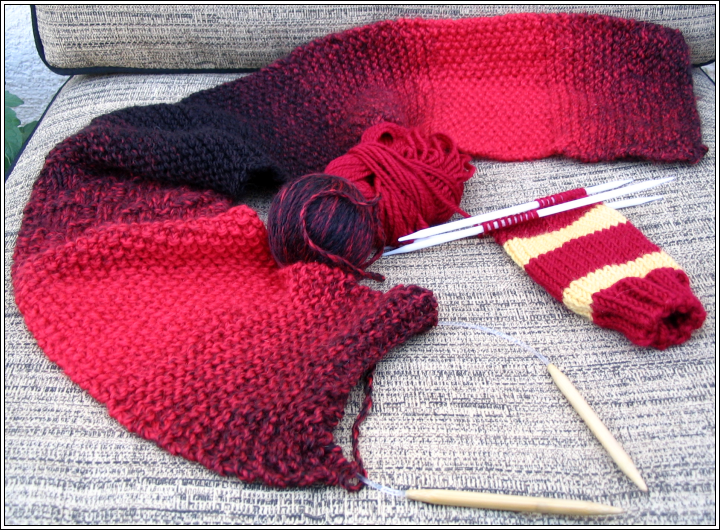 I really like how you're blending the yarns for the scarf - very nice! Are you killing pumpkins again? ?